Good times to be had with double process custom green hair by Kristin Jackson. 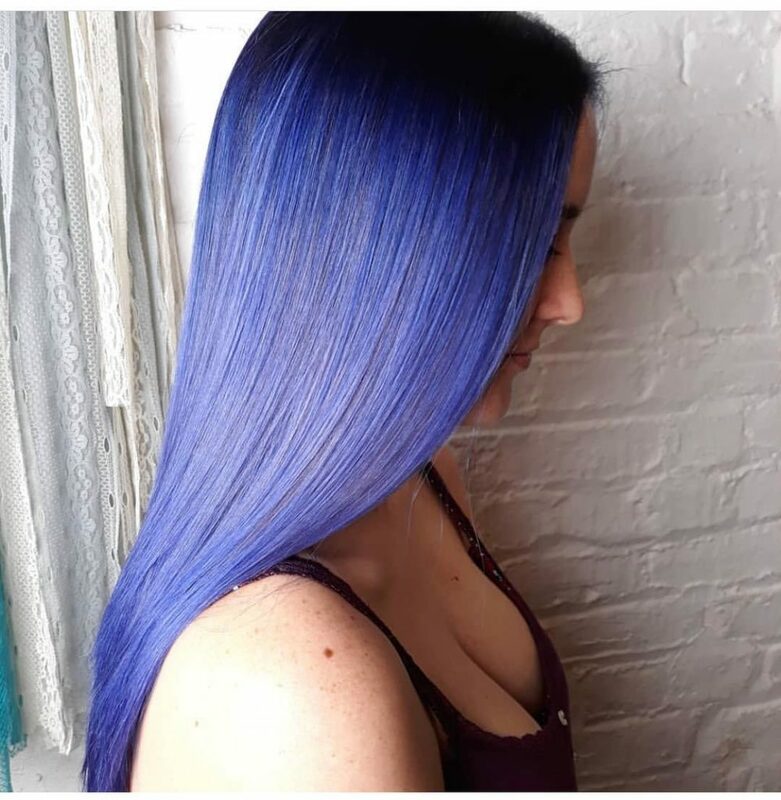 Royal blue balayage by Donna Rae using Pulp Riot. 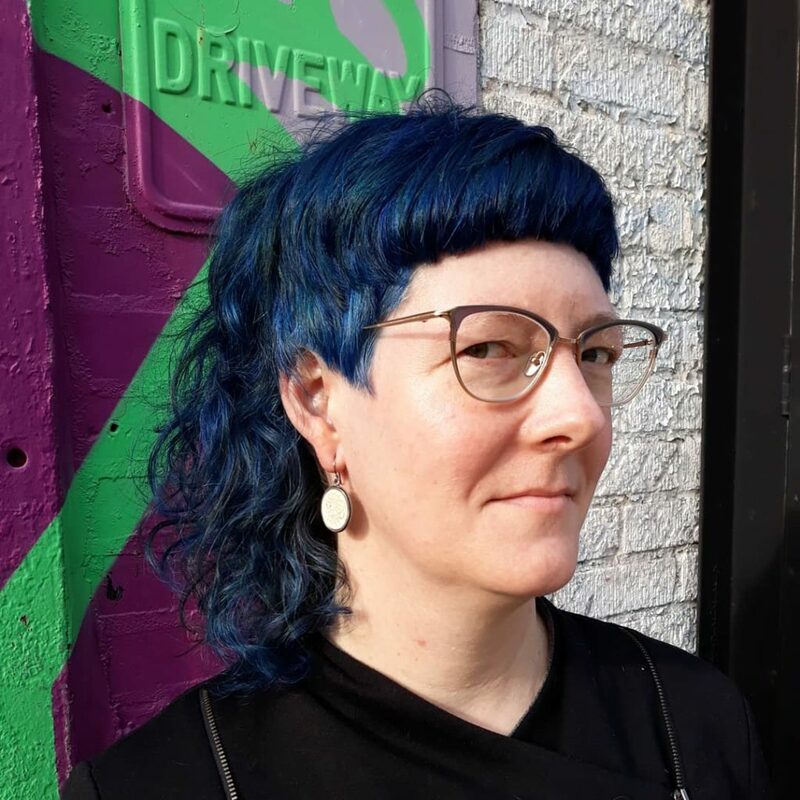 Also digging this shag/mullet hybrid. Should we call it a shullet?! 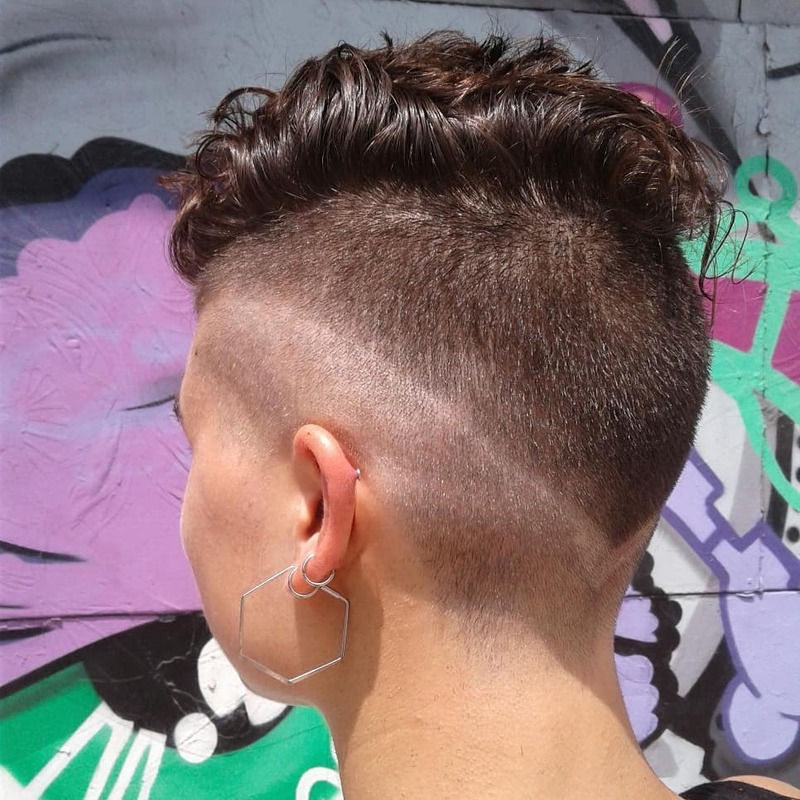 Super precise angled cut and shave by Donna Rae. 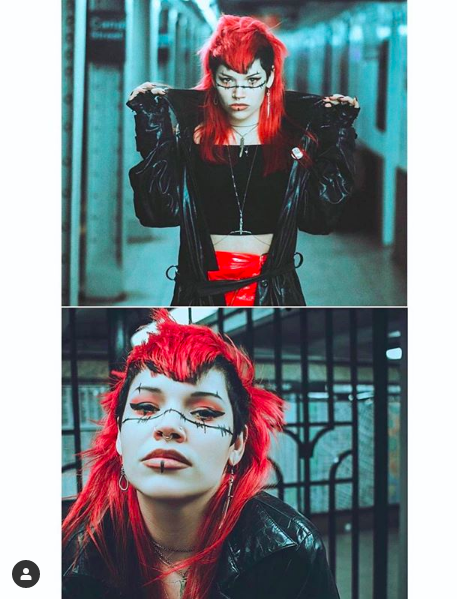 Giving me dark wave vibez! 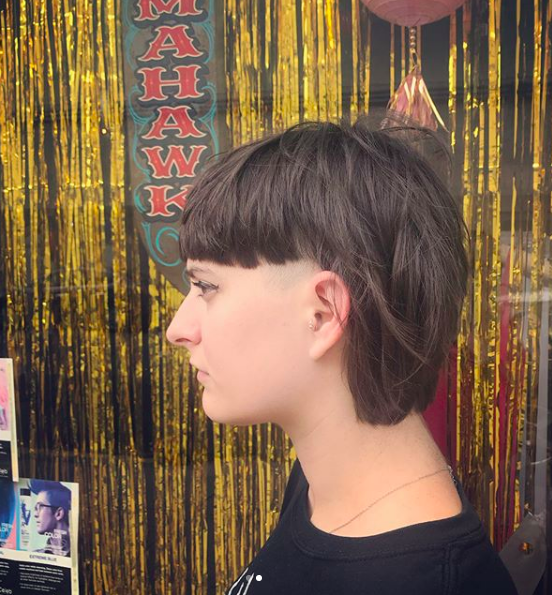 Make it edgy with a bit of a shave! 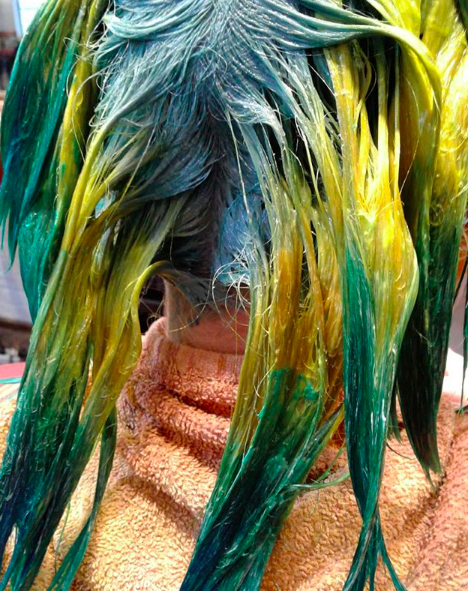 Bird of paradise Kristin Jackson slayed this amazing color of rich blues and greens. 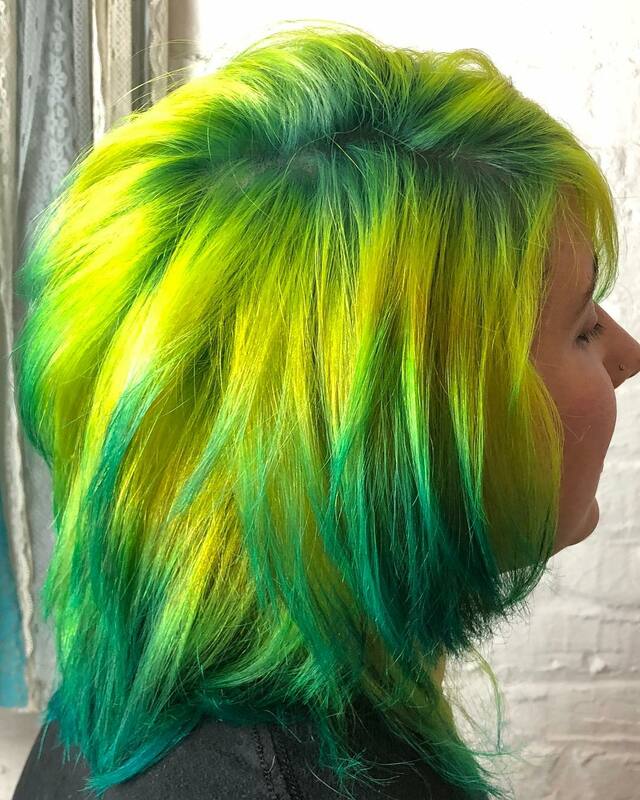 This color was achieved through a double process. 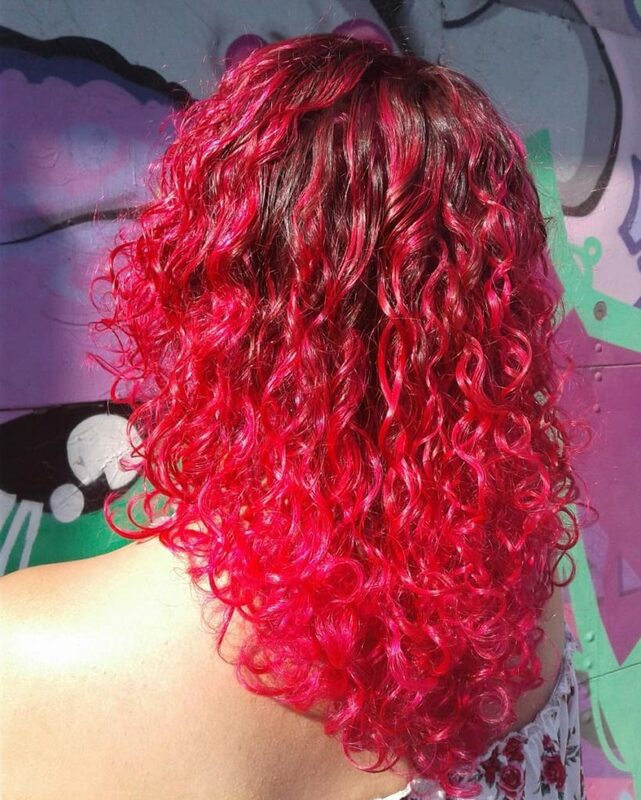 Lightener was applied from roots to tips followed by creative color. 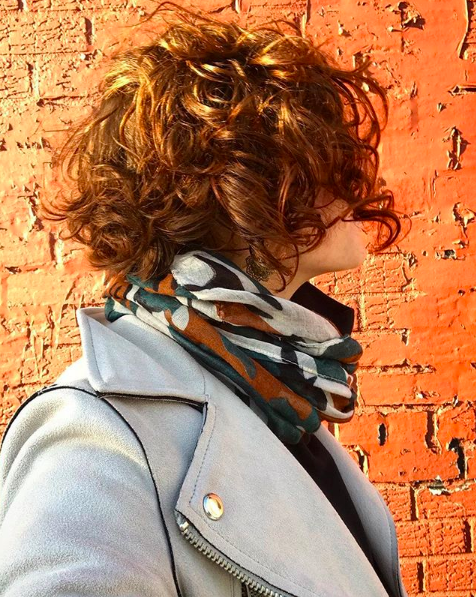 #shorthairdontcare cut by Donna Rae. Loving this zero fade! 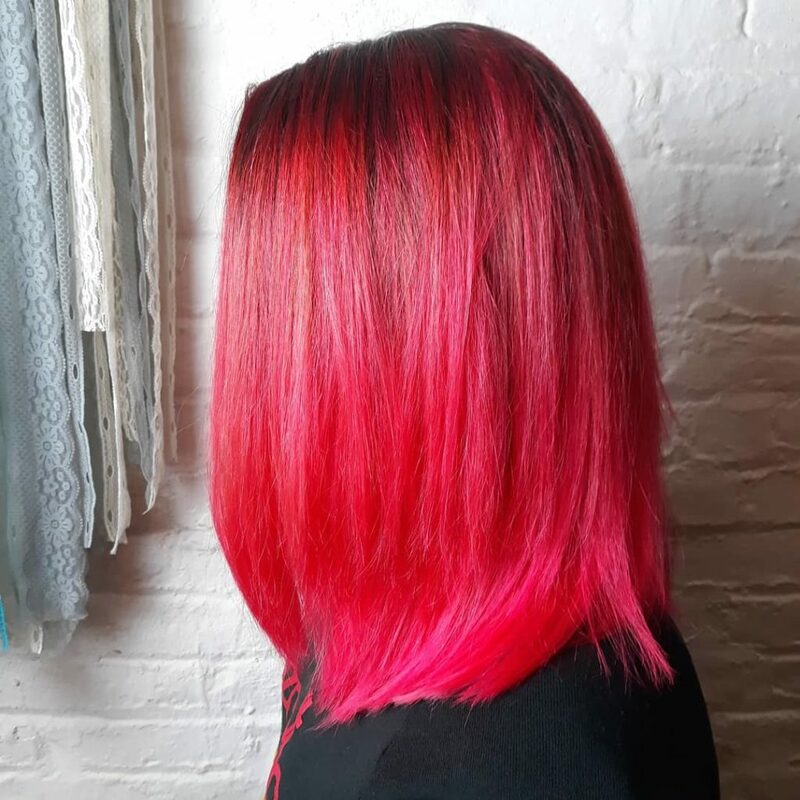 Vivid pink balayage by Kristin Jackson. 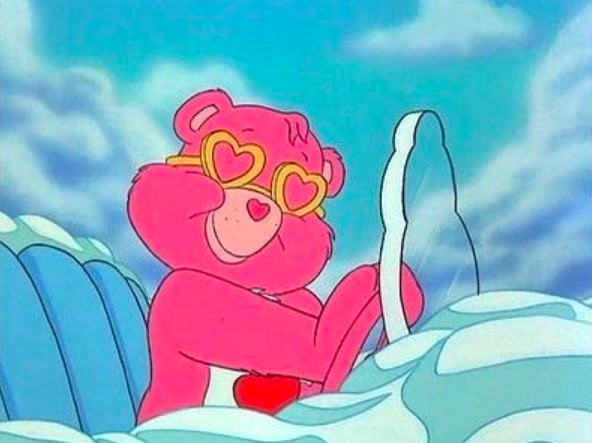 Beep beep give us a call or text to book an appointment or consult. For any lightening service we require an in person consultation. Consults are complimentary and take about 15mins. 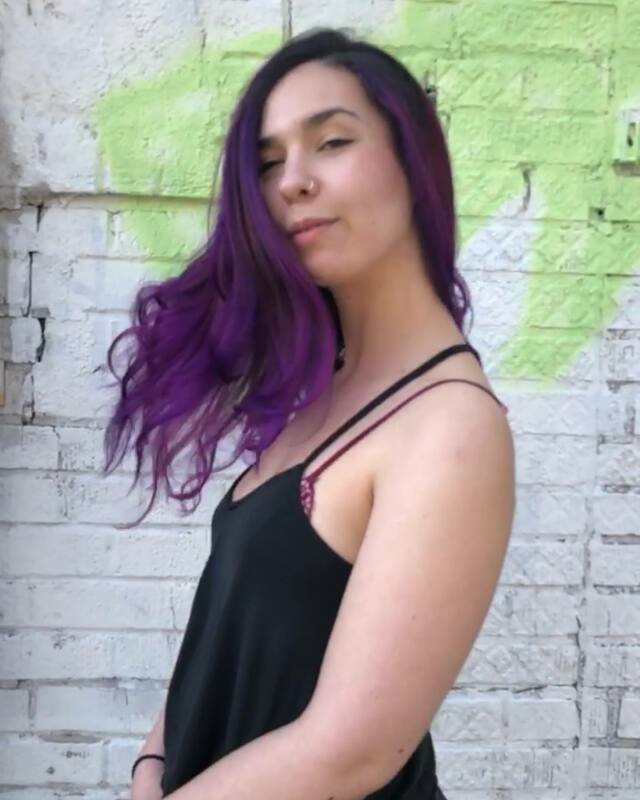 This allows us to determine the best color service, price and how long to book out for your hair dreams to come true. 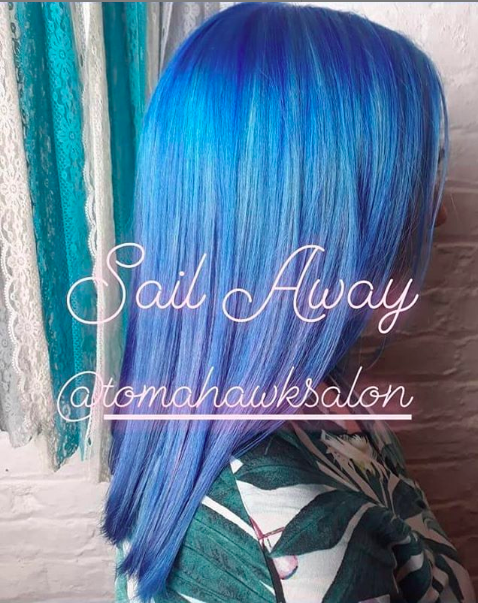 Check us out on instagram @tomahawksalon! 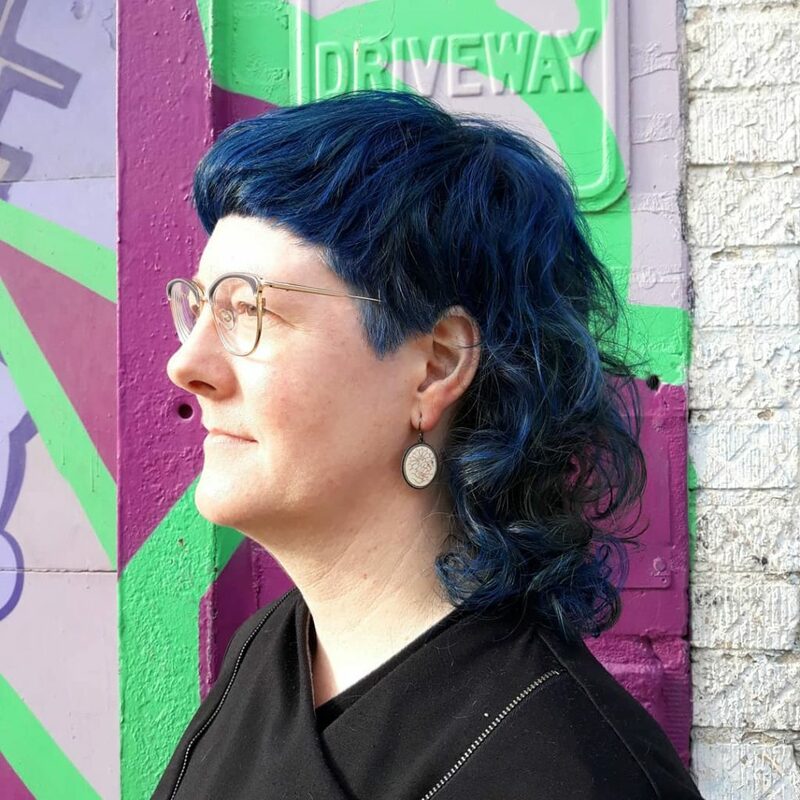 @dirtworship rocking haircolor by Kristin Jackson and the ultimate #mullethawk by Donna Rae. It’s all in the teamwork! 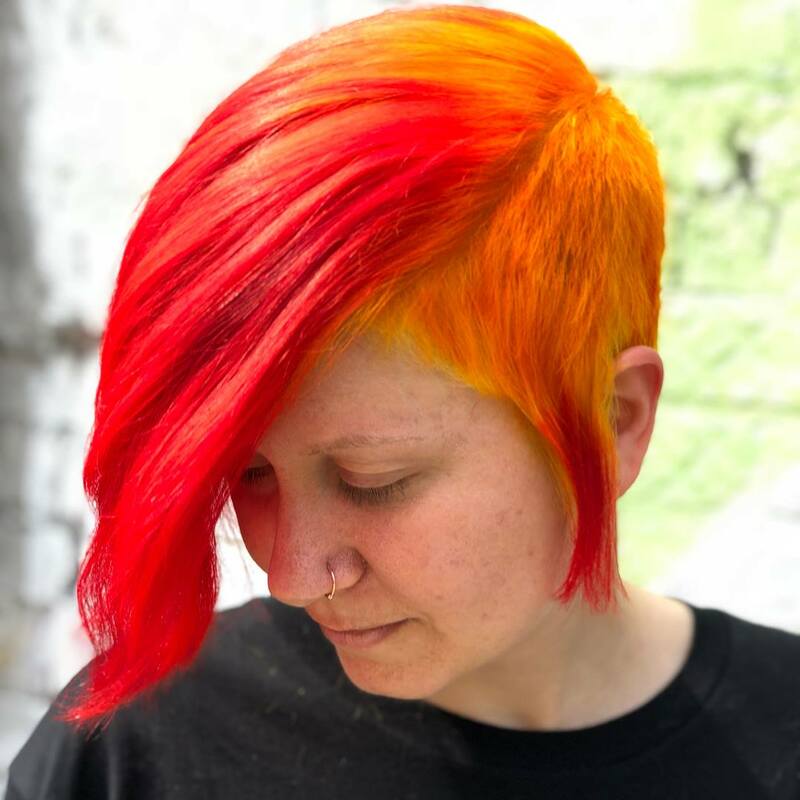 Our client usually rocks flaming yellow, orange and red hair. 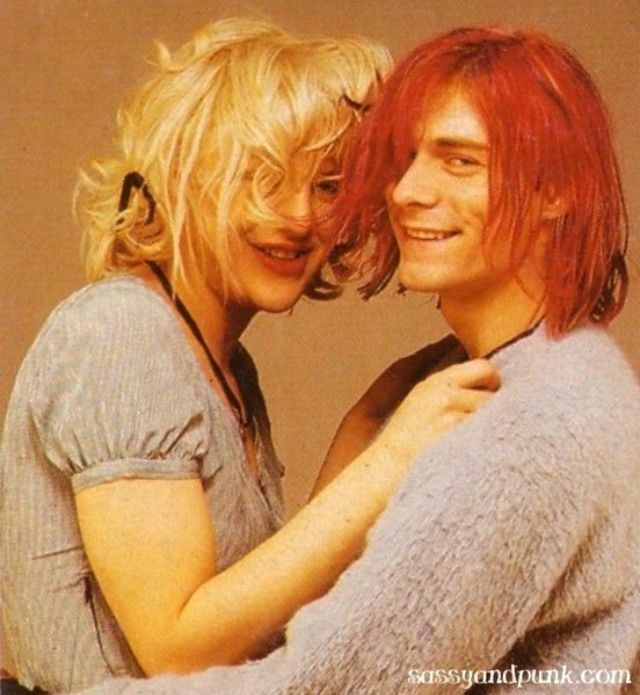 But when Kristin lifted her roots and mid shaft the blonde just popped. 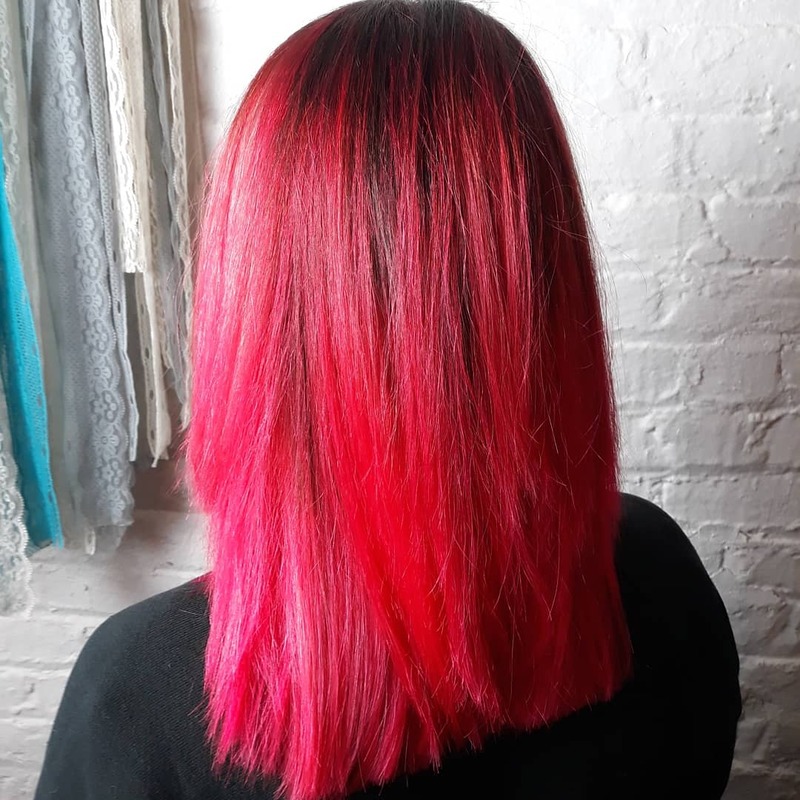 Kristin did a color melt using Redken shades Eq blending into pink. This is a great way to change color and maintain healthy hair since NO lightener was used at the ends. The coral pink was hand painted from the ends to mid. 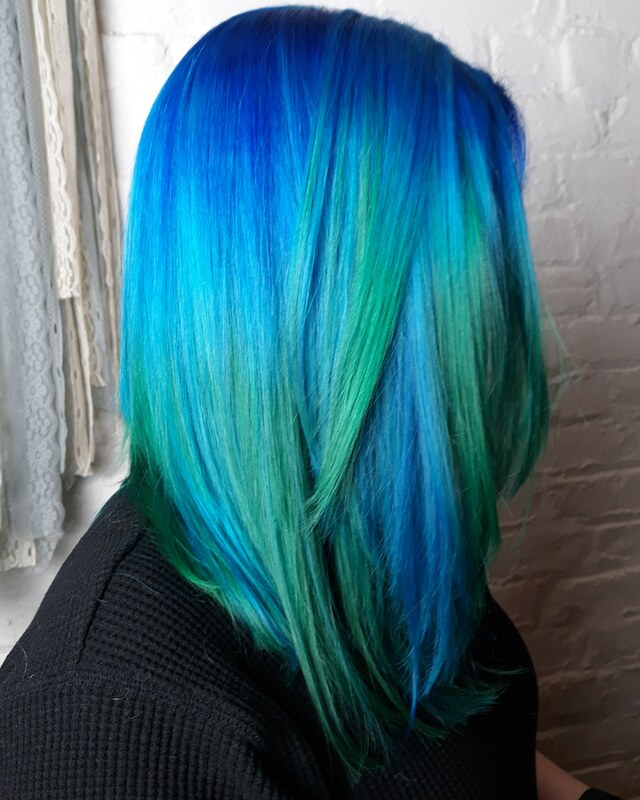 Color by Kristin. This client had grown out foil highlights with a demarcation line 3 inches from the scalp. 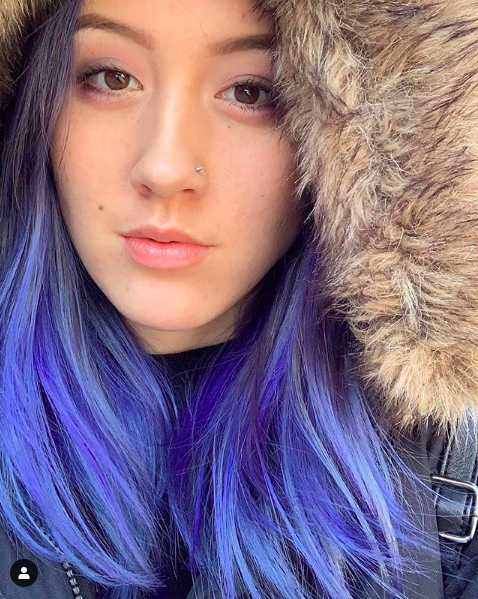 Kristin meticulously blended it out with a balayage, hand painted highlights. 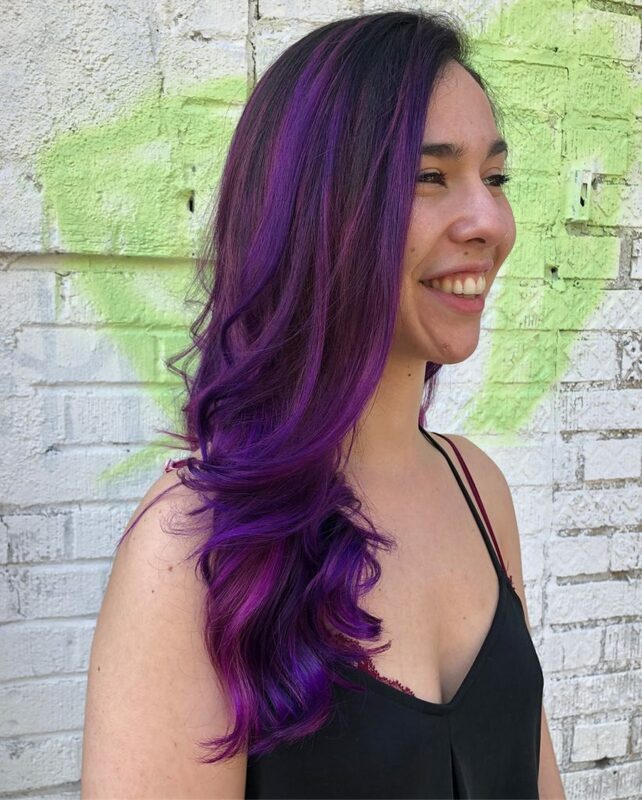 Kristin then applied a custom mixed smokey #blurple. Going this dark and vibrant will last this client months while she travels through Spain. 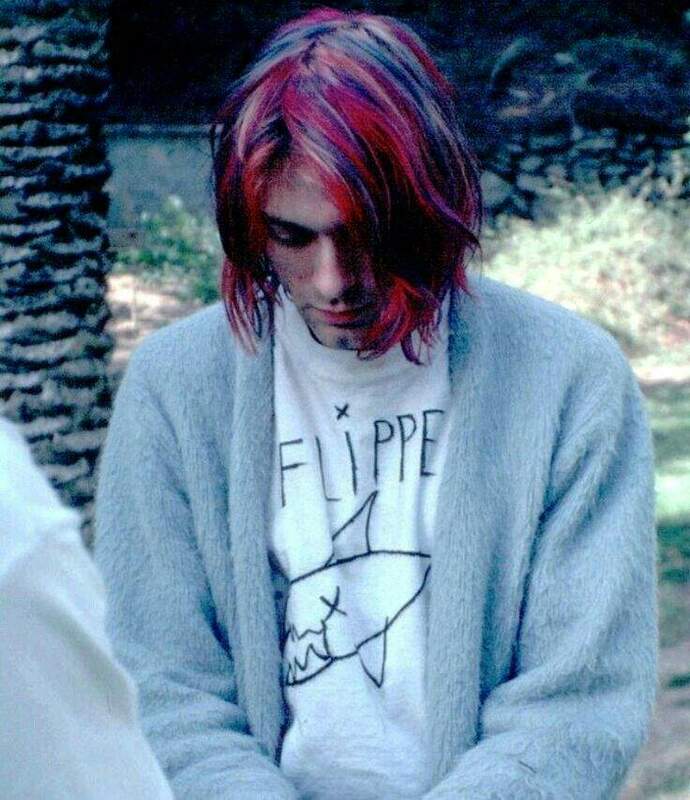 The color will fade to a lavender. 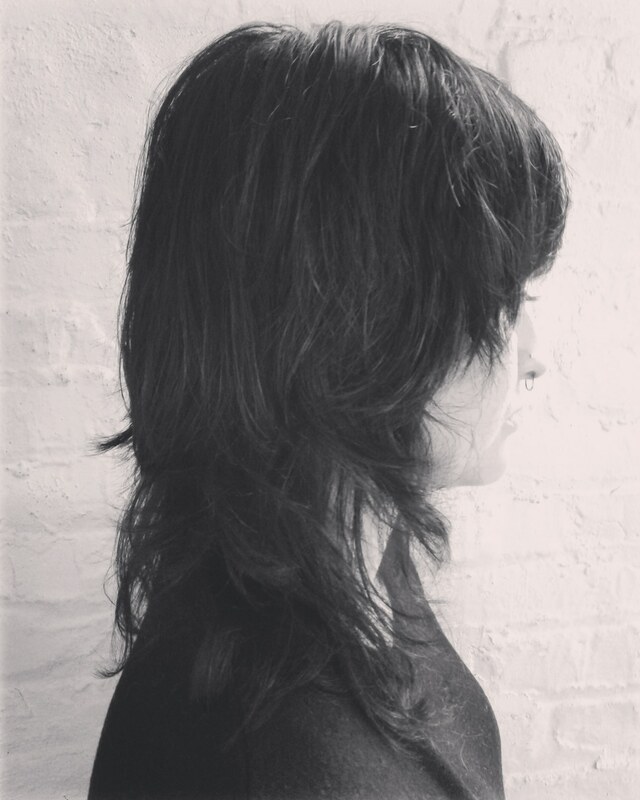 Cut and color by Kristin. 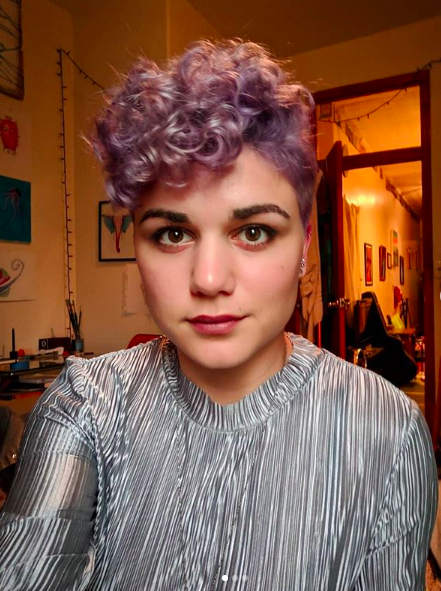 This client came in for lavender hair with Donna Rae around Thanksgiving. 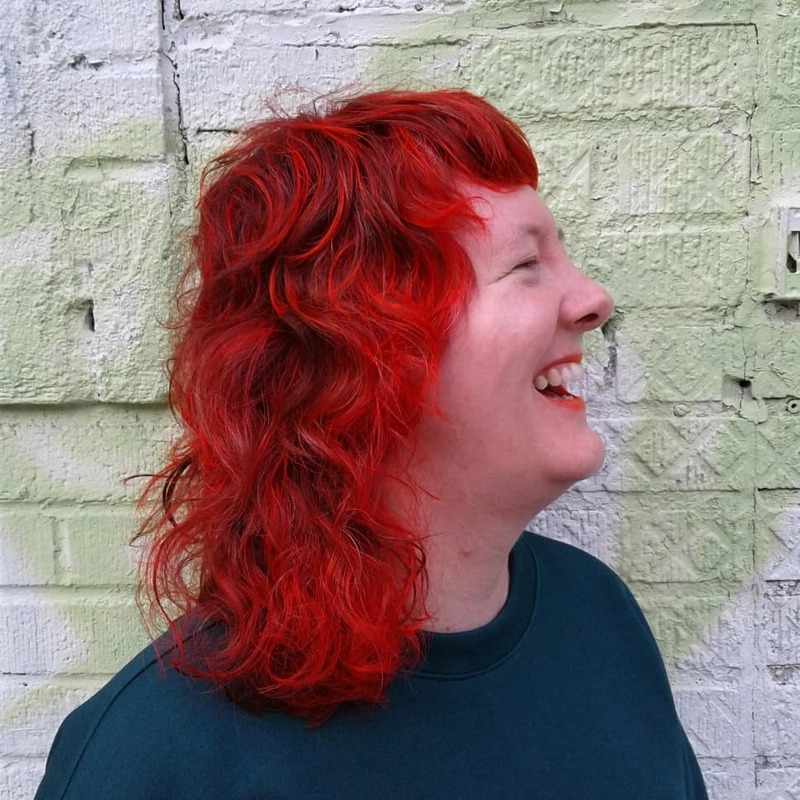 Cut and color by Donna. 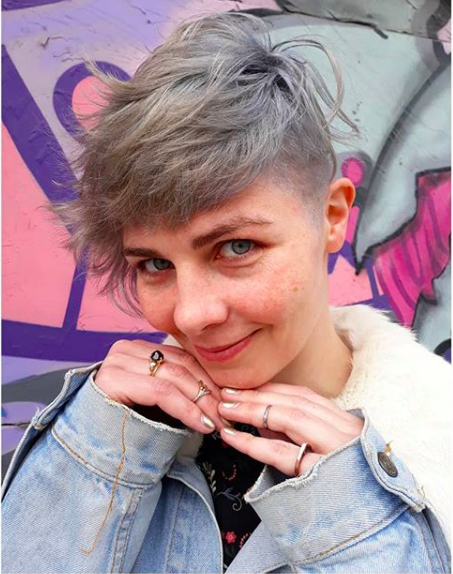 New year, new do! Donna took her to cotton candy pink and a tighter shave on the sides for New Years. 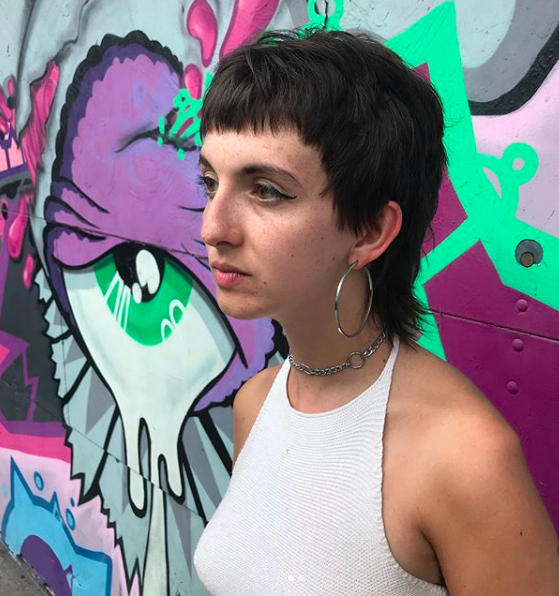 I love how androgynous this look is. 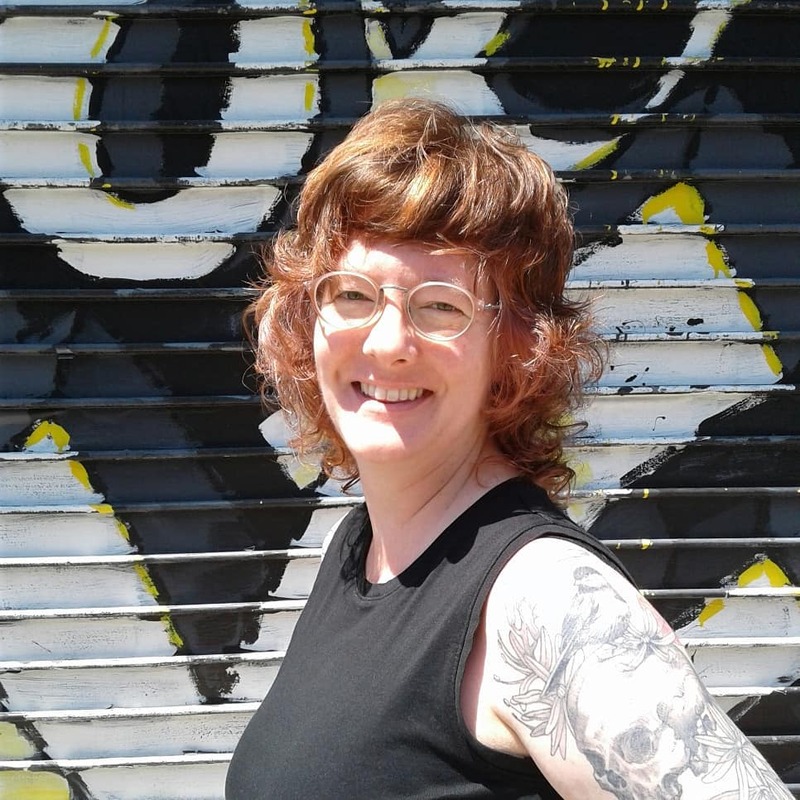 Cut and color by Donna. 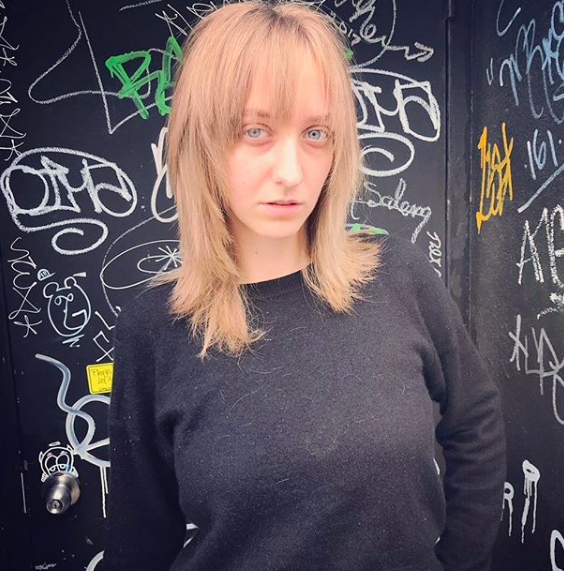 Is it time for a new do?! Give us a call or text we’ll guide through it with an in person consult. 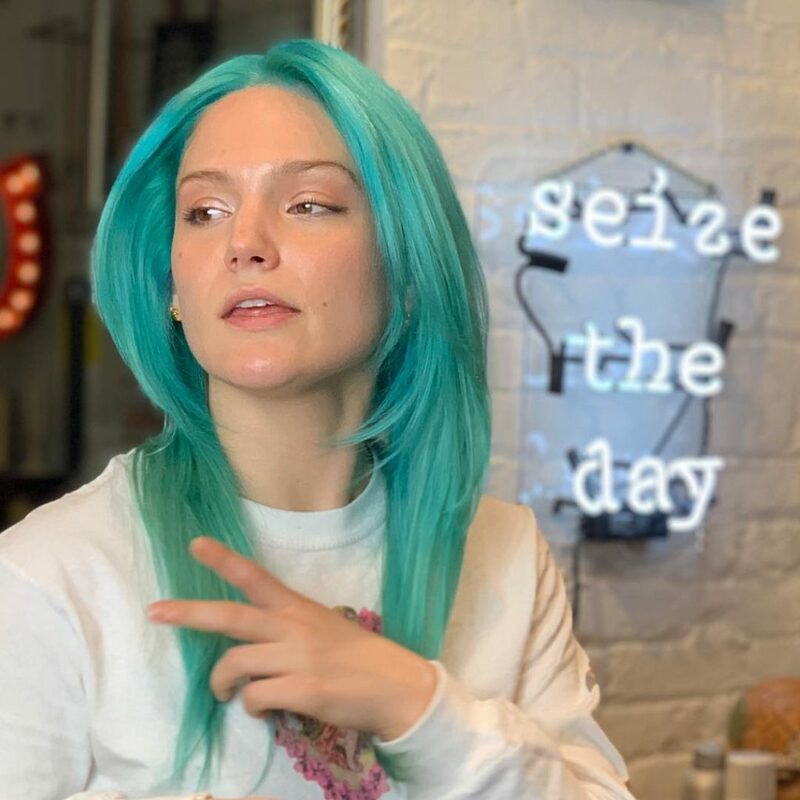 We’ll let you know what to expect with the lightening process, maintenance, pricing, service duration, haircare… Consults are free and generally take 15min or less. Consults are the best way for us to help you make ur hair dreamz come true. Call or text 646-399-6873. 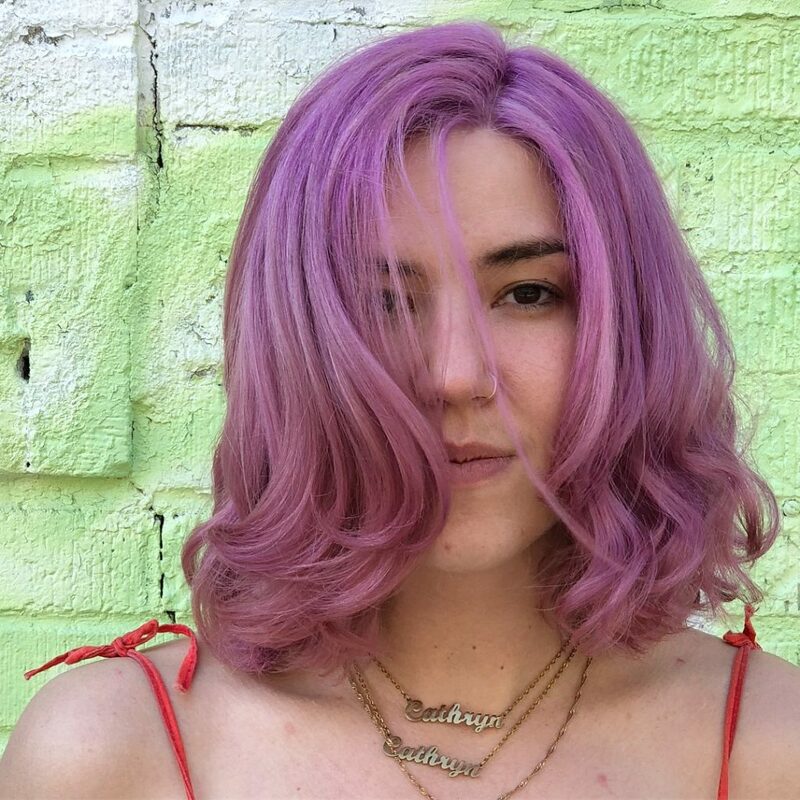 You can now follow us @tomahawksalon for all ur #hairinspo! 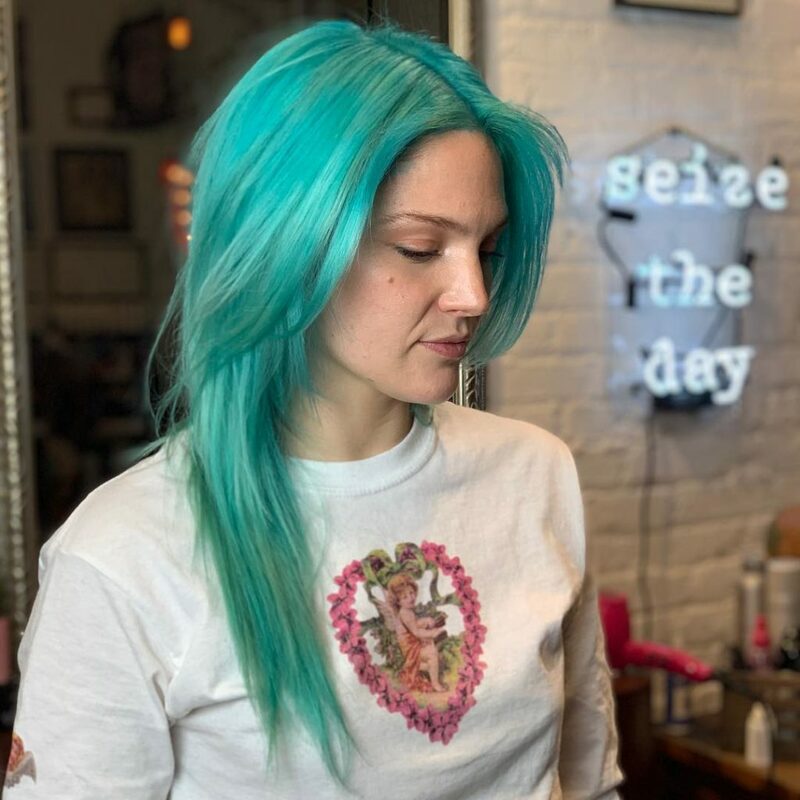 Kristin Jackson refreshed her clients double process by toning with Shades Eq Aqua Blue. 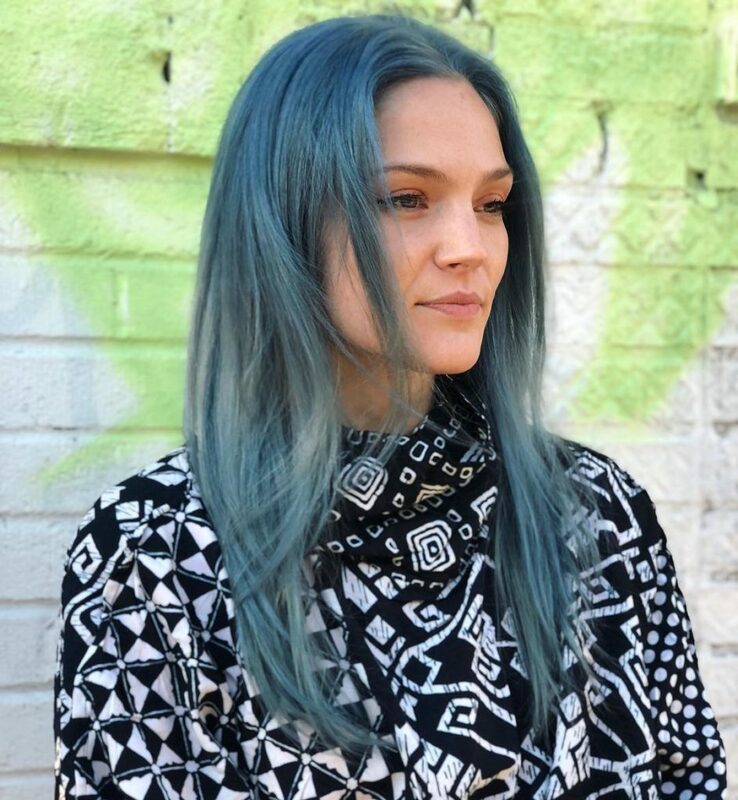 She custom mixed several shades to come up with this perfect grungy blue. 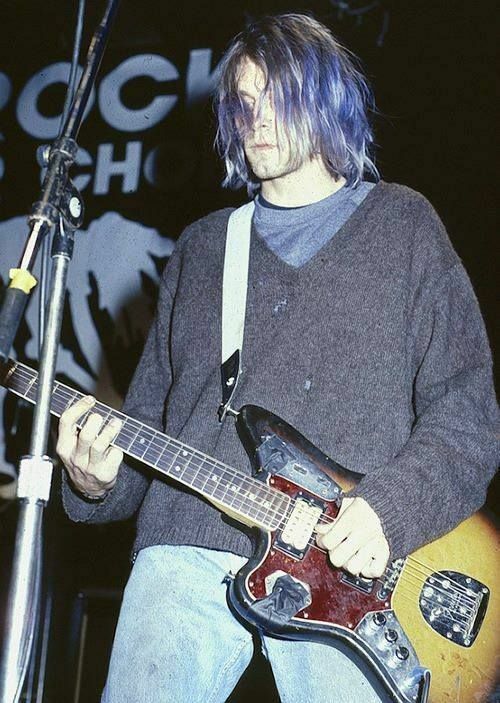 90’s hair inspo of the iconic Kurt Cobain. What’s on your mood board? The stars are out tonight forever an inspiration. Bring us your inspiration, your mood boards and visions. Let’s see if we can make some magic. 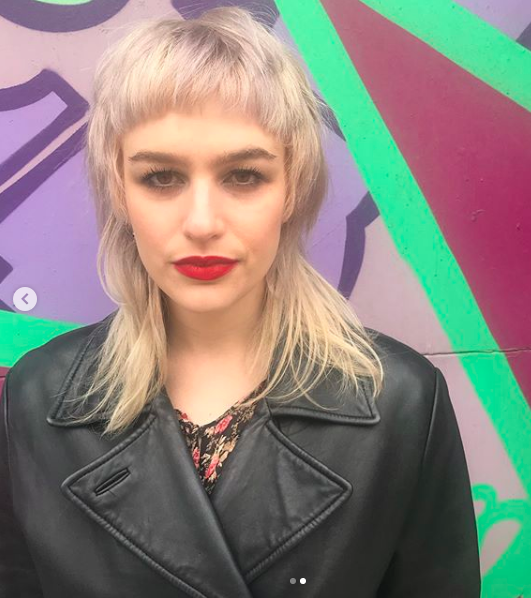 For all services requiring lightening the hair we like to do an in person consult. 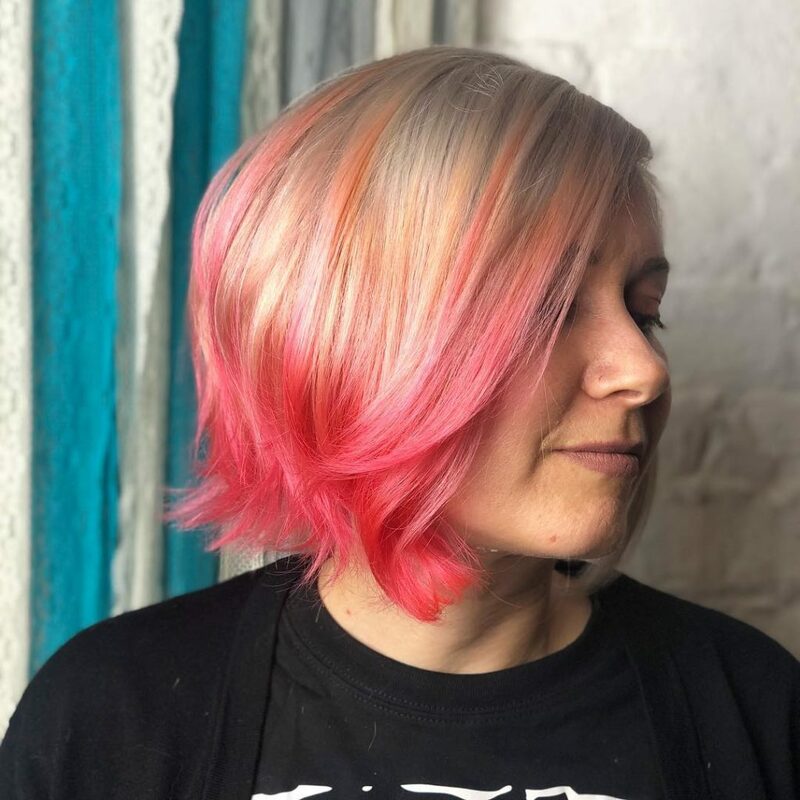 Consults are free and helps us to get on the same page as our clients, allowing us to book out the proper amount of time and price to make your hair dreams come true. Give us a call or TEXT 646-399-6873. Visit our color page for more info! If you been to Tomahawk you know we love the macabre, horror movies, creatures and spooky tales. No need for decoration around these parts, everyday is Halloween. Here’s whats been brewing in our cauldron. 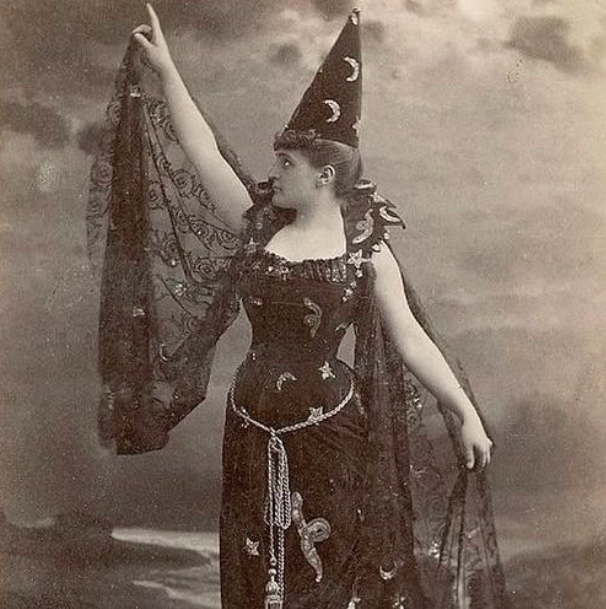 Something wicked this way comes…. Can we talk about the perfection of this moment! 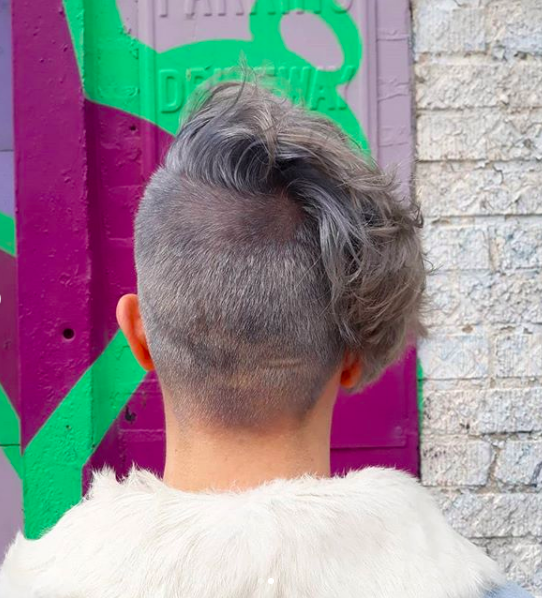 Kristin took our client to all new fierceness with this silver into canary yellow bomb hair. This was done through a double process retouch. Sizzling photos captured by our client;) Kristin is available Wednesday-Saturday. 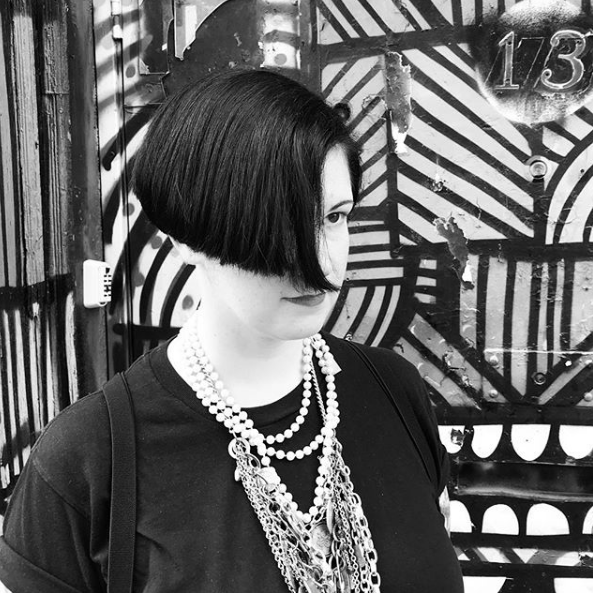 A dark and edgy precision cut by Fiona Beardman. Fiona is available Sunday, Monday, Wednesday and Thursdays. 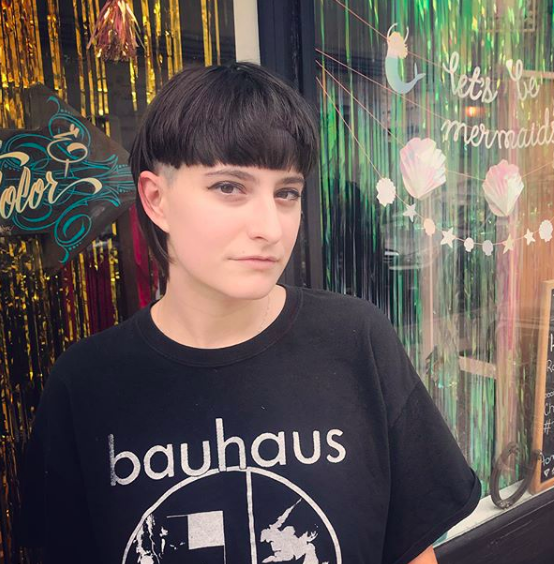 Did you all know that the salon is tucked behind our storefront! 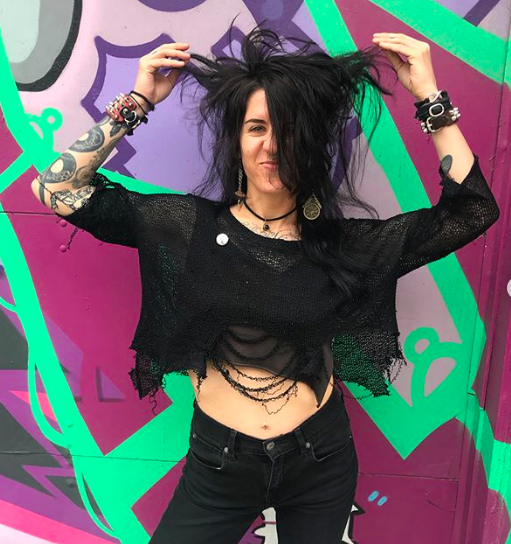 Our store has loads of creepy crawly goodies by Sourpuss and Too Fast as well as products by Redken, Verb, Celeb Luxury and Fatboy. Pop by the storefront it’s open Wednesday thru Saturdays. 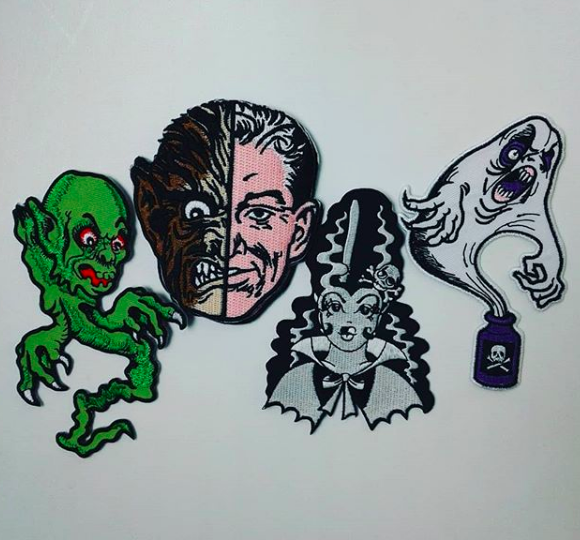 Come in and grab one of these spooktacular iron on patches. Each is $6. 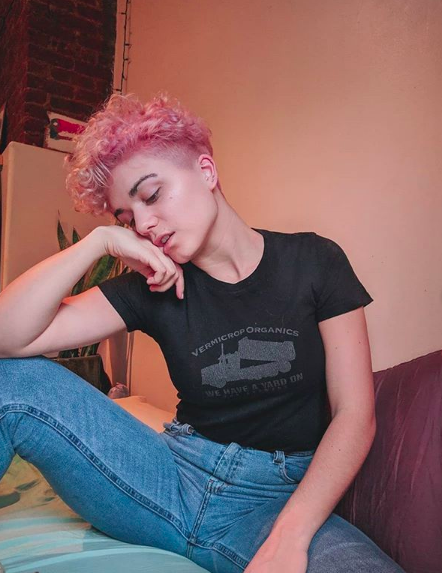 Rep ur favorite monster! 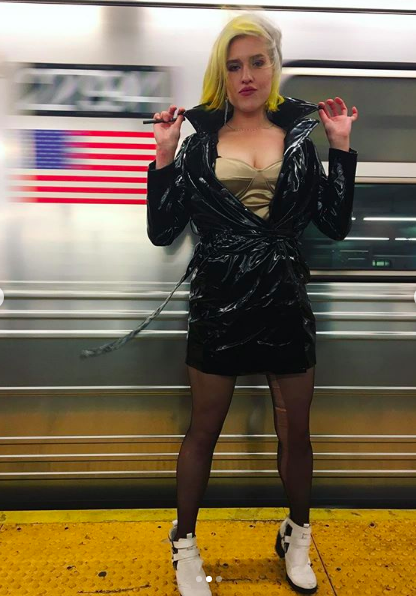 Happy Halloween Witches! 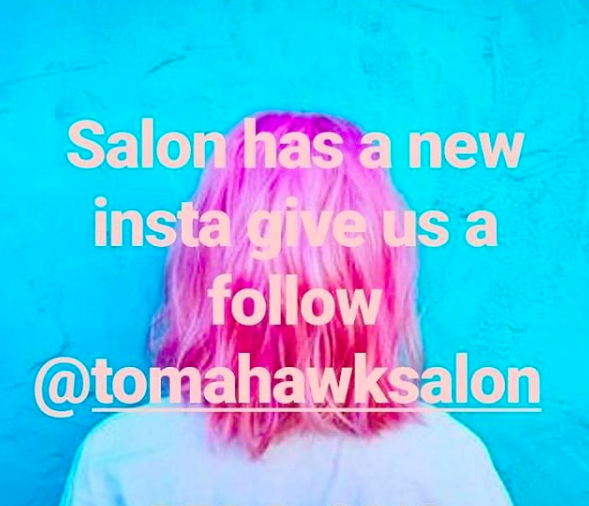 As always thanks for peeping our page, give us a like on FB and follow our #tomahawksalon on Insta! One of the best thing about being in a small salon is the sense of kinship. Not only do we love working together as a crew but it’s absolutely energizing to collaborate with our clients. Check out some of our current work below and as always none of this would be possible without you, our clients! 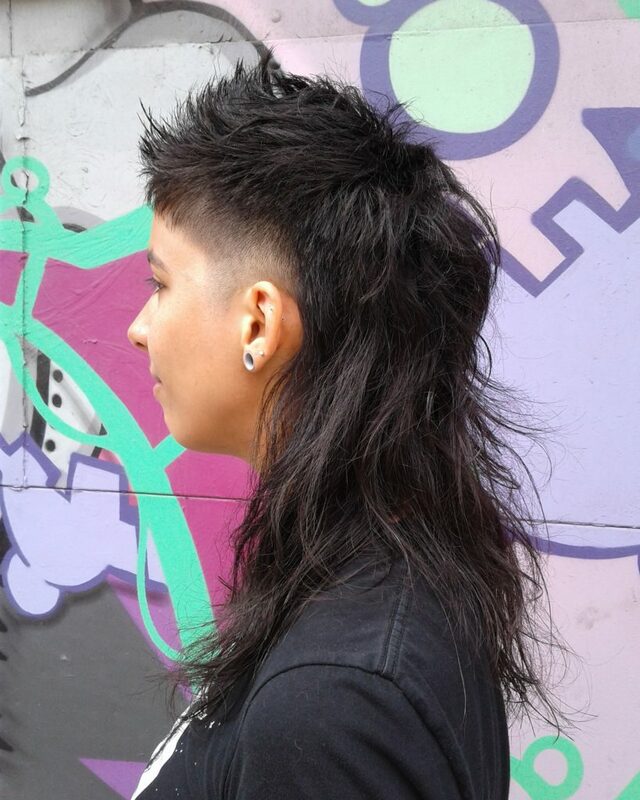 @dirtworship had a vision and wanted a Donna Rae mullet. 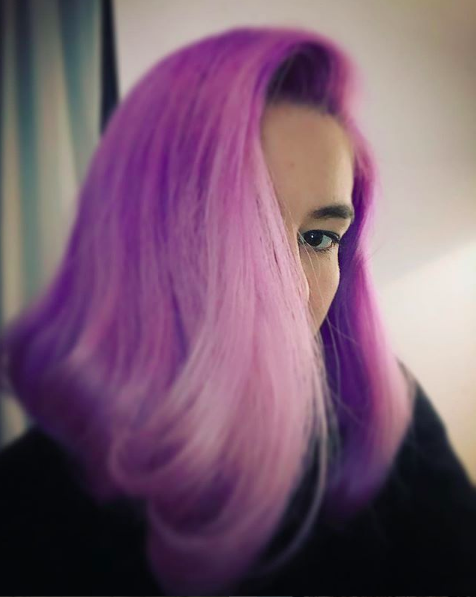 The following week she came in for a full double process to go with a bold pink with lavender accents. 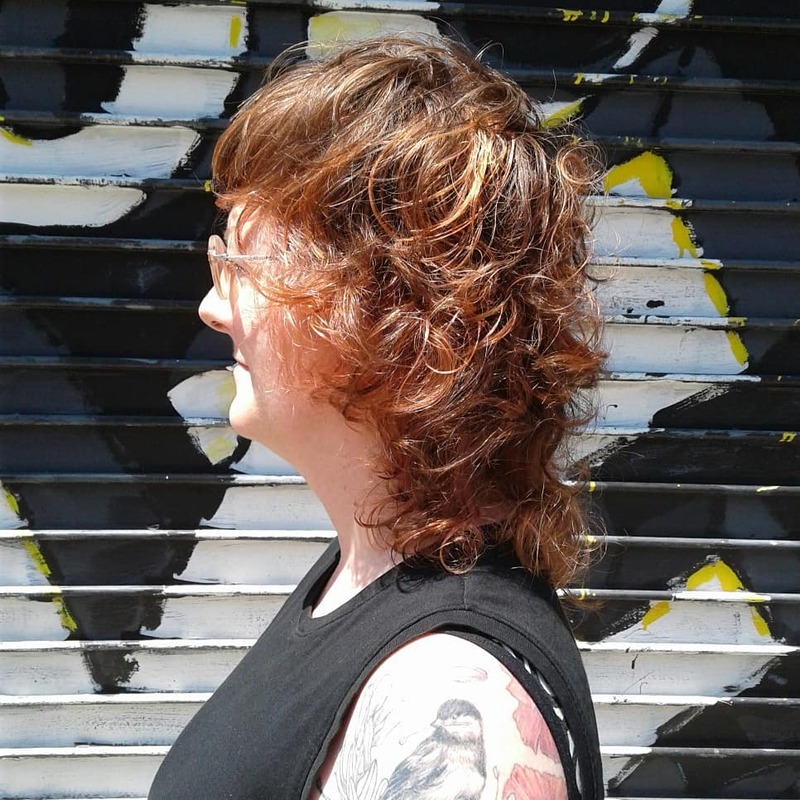 Kristin weaved out her natural color at the bang to give this high impact look. TEAMWORK cut by Donna Rae color by Kristin Jackson. 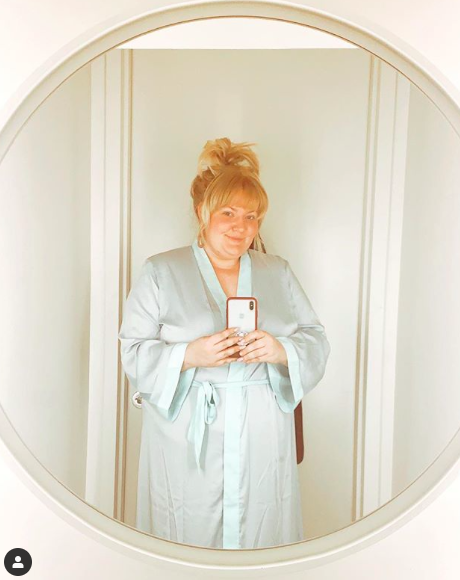 Next up Donna’s client wanted to bring out her inner warrior. 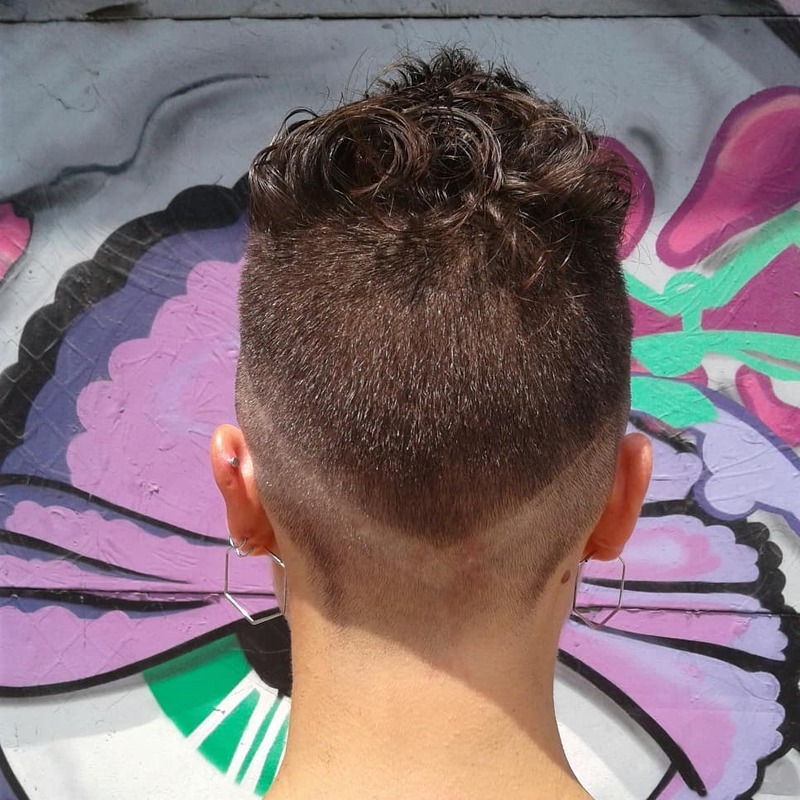 Donna did a zero fade tapering down in the back. The line work makes for a striking effect. 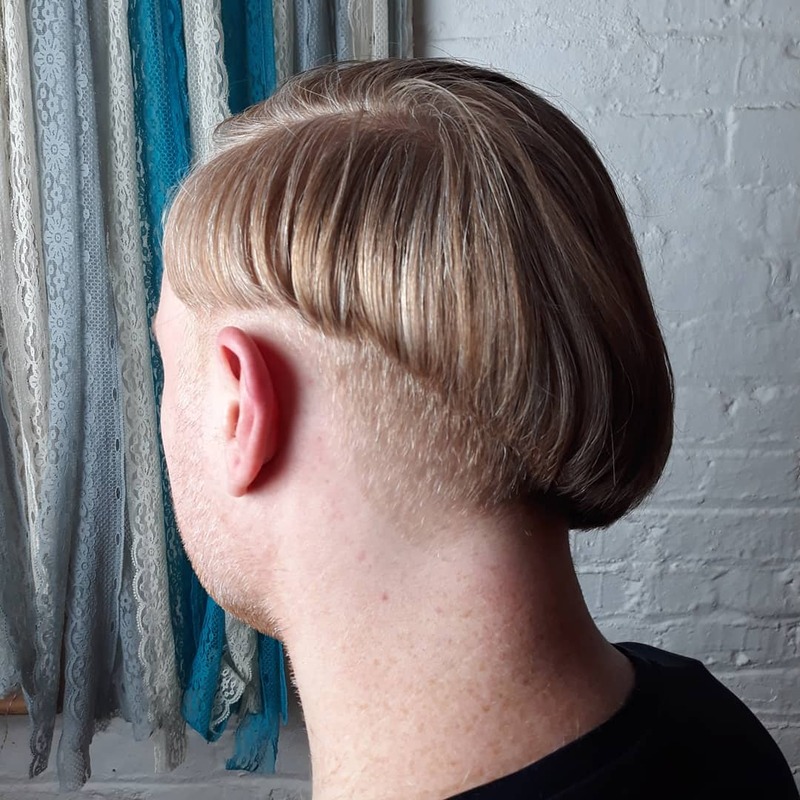 View from the back. 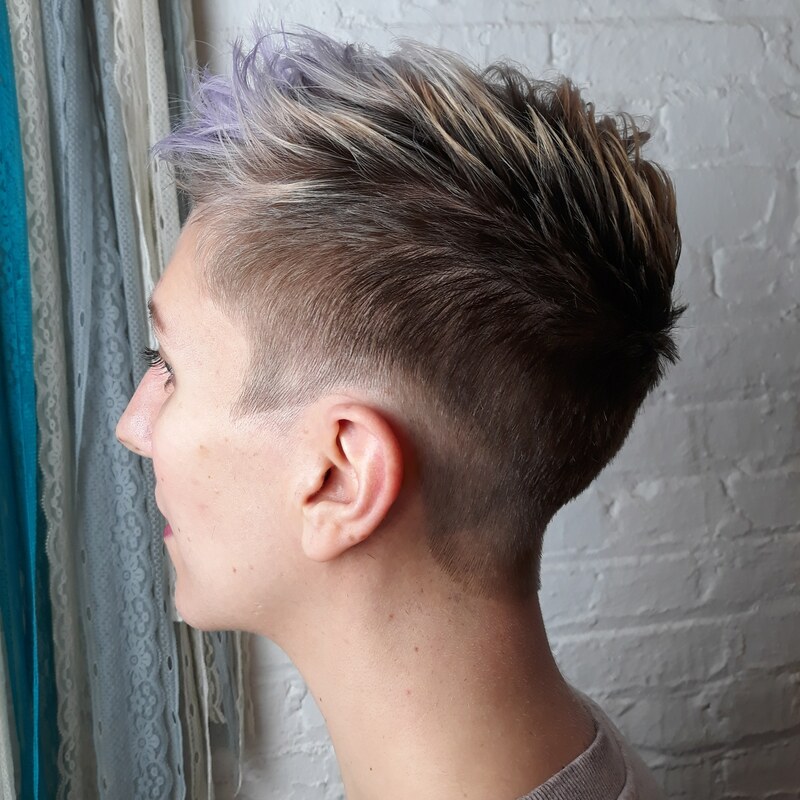 Fade all day, cut by Donna Rae. 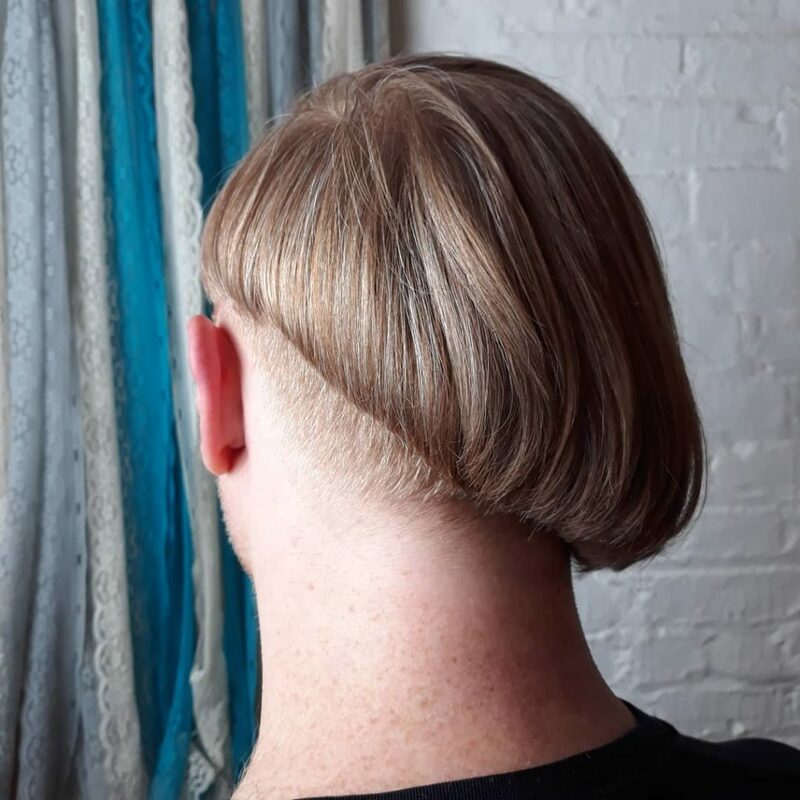 Fiona’s client wanted a bowl cut/mullet hybrid. To some stylists this could be daunting but Fiona said BRING IT ON! This sweet selfie was taken moments after Kristin did her magic. 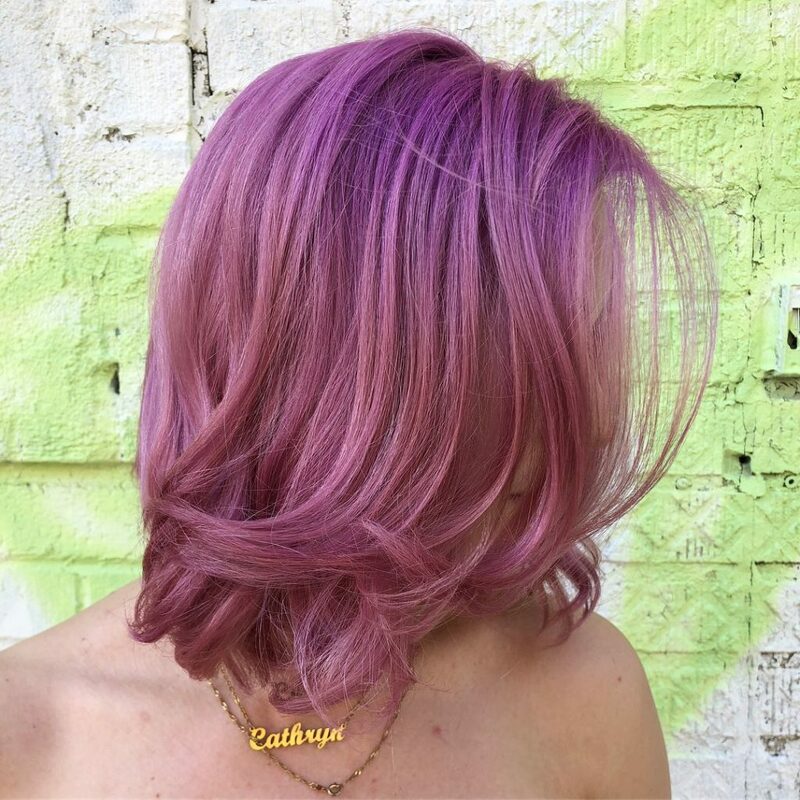 Soft pale pinky lavender. Remember folks the paler the color the quicker the fade. 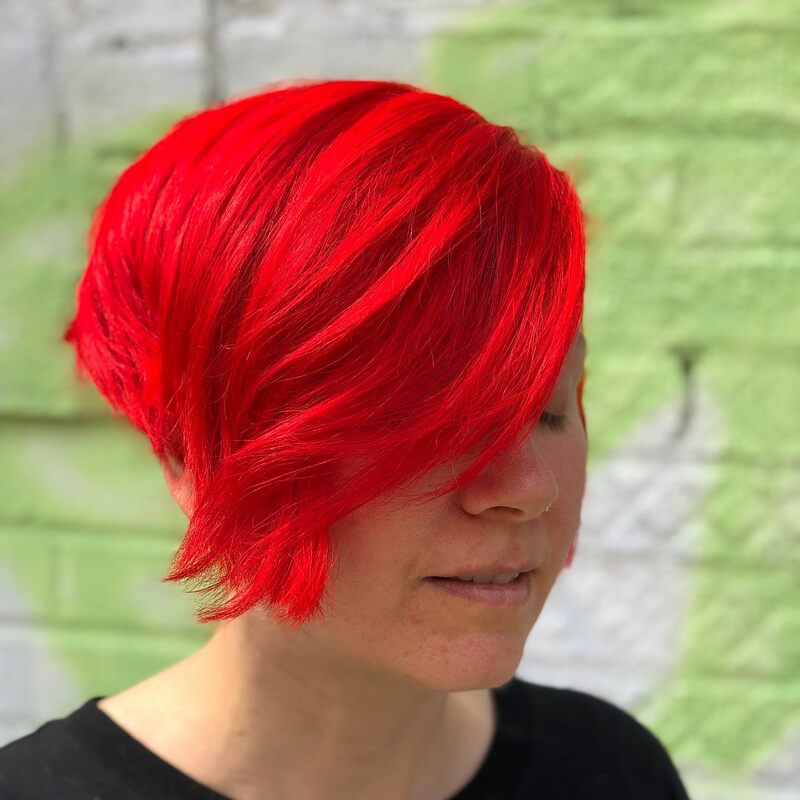 Cut and color by Kristin Jackson. Photo by client. 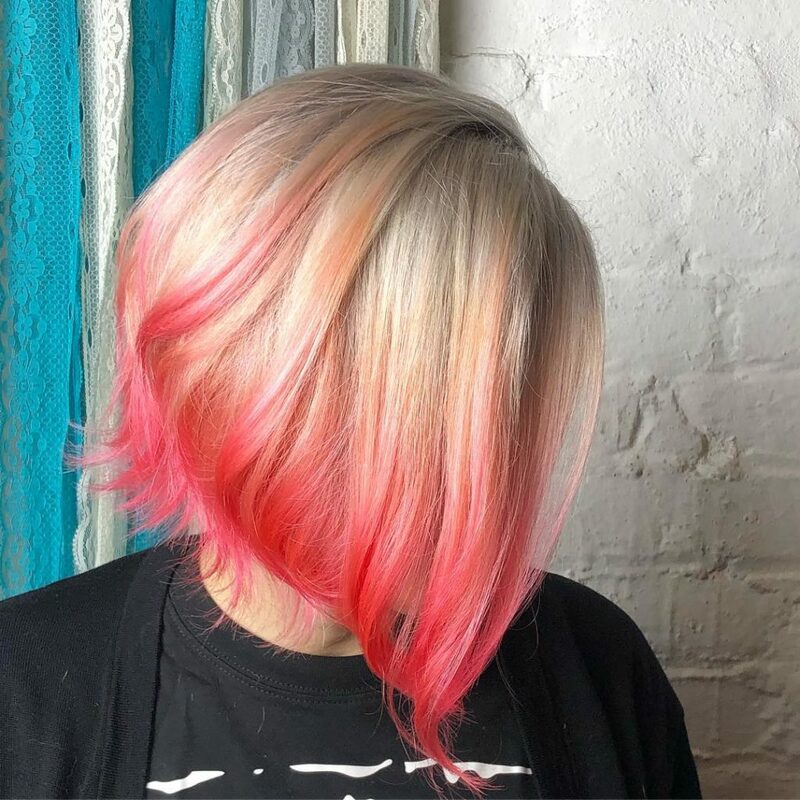 Multiple colors were used to achieve the soft and muted creative color by Kristin. Balayage is a form of hand painted/swept hi lights that processes in the open air. 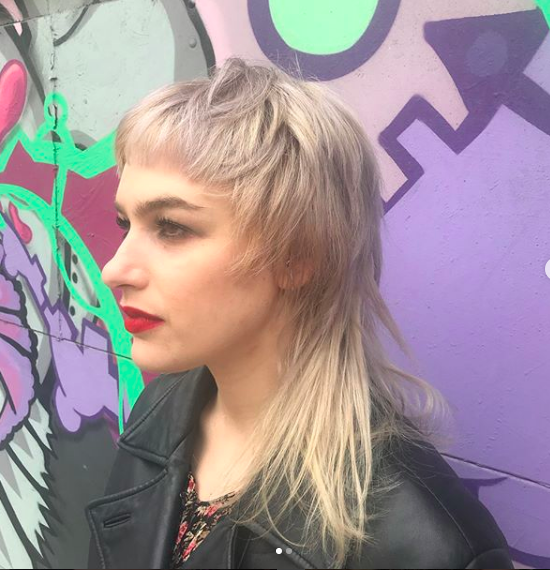 Balayage allows for a natural root. 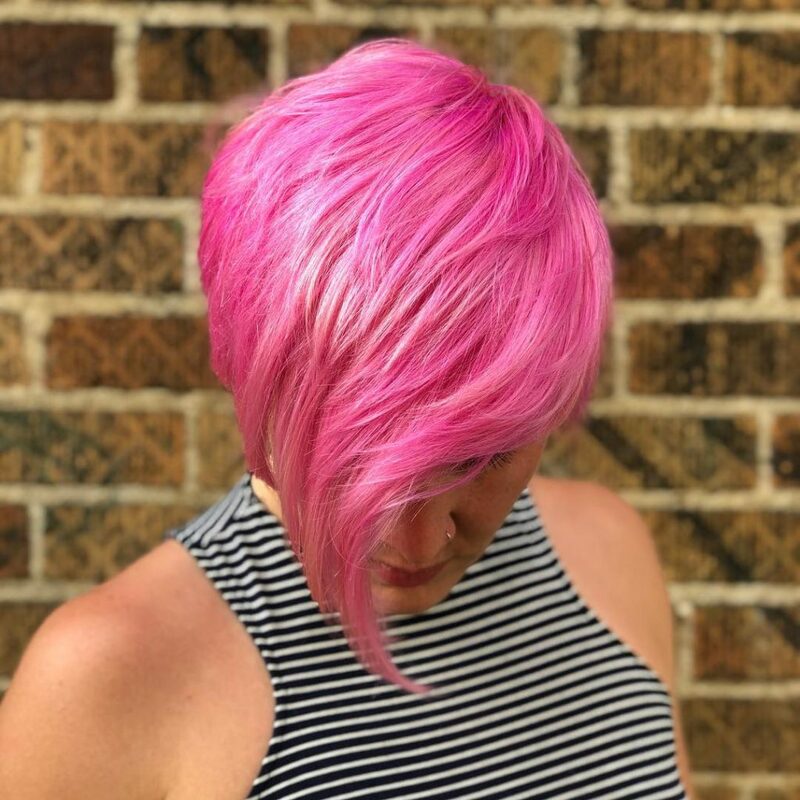 Kristin used Pulp Riot Velvet and Jam. Yum to this color combo! 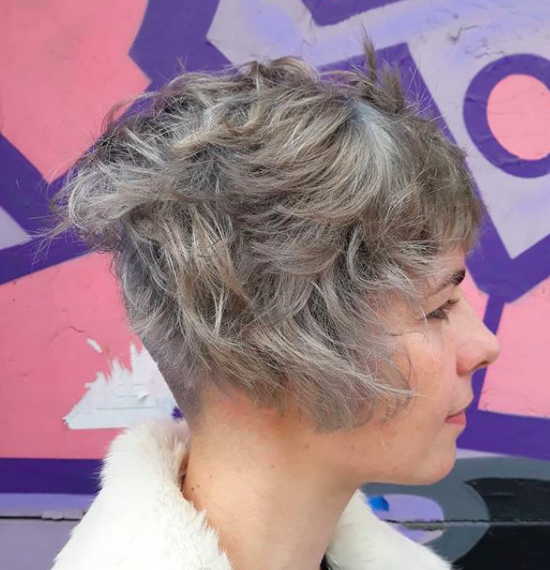 Super fun and shredded cut by Fiona Beardman! As always thanks for giving our blog a looksy. To book an appointment or color consult you can give us a call or text at 646-388-6873. 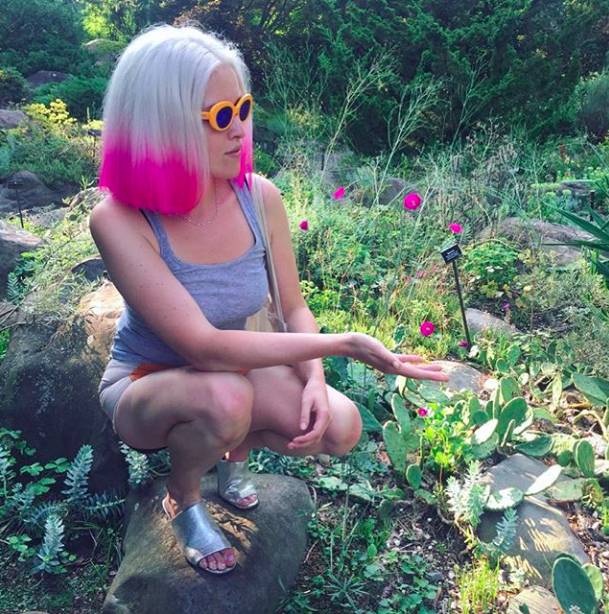 Thinking about lightening your hair or doing some fun colors?! We require an in person consult, they’re free and allow us to get on the same page as our clients. 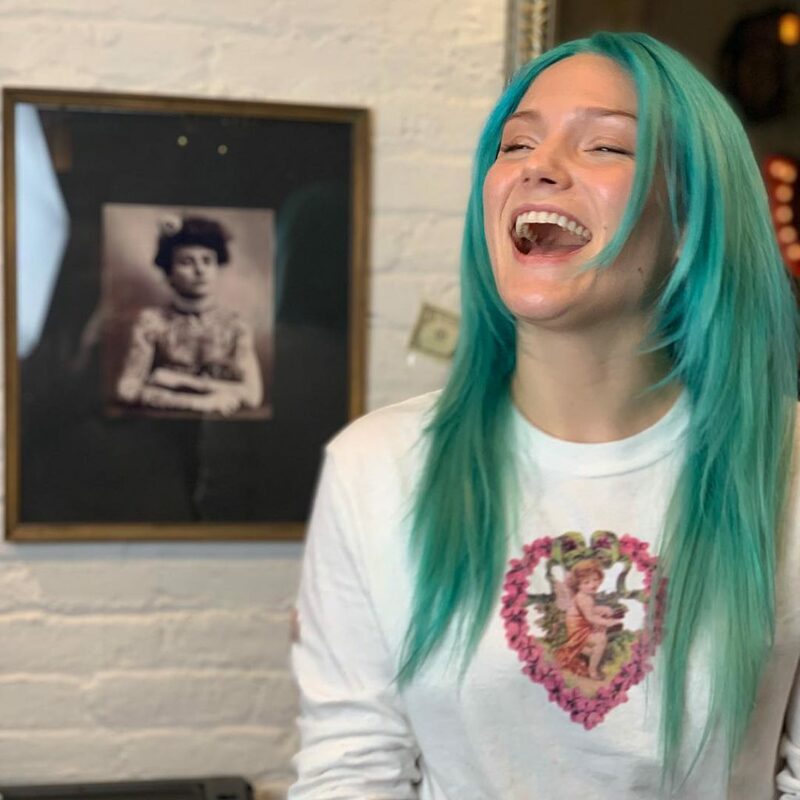 Many of our color appointments take over 3 hours and we wanna make sure we’ve booked out the appropriate time bebe;) So remember life’s a BLEACH and than you DYE! 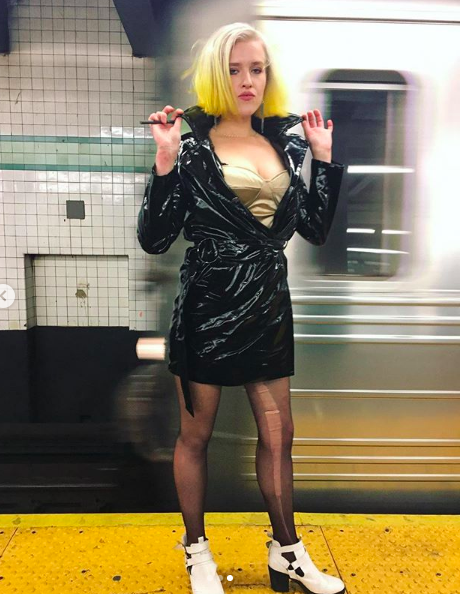 Let’s brightened it up a bit with some colorful neon looks. 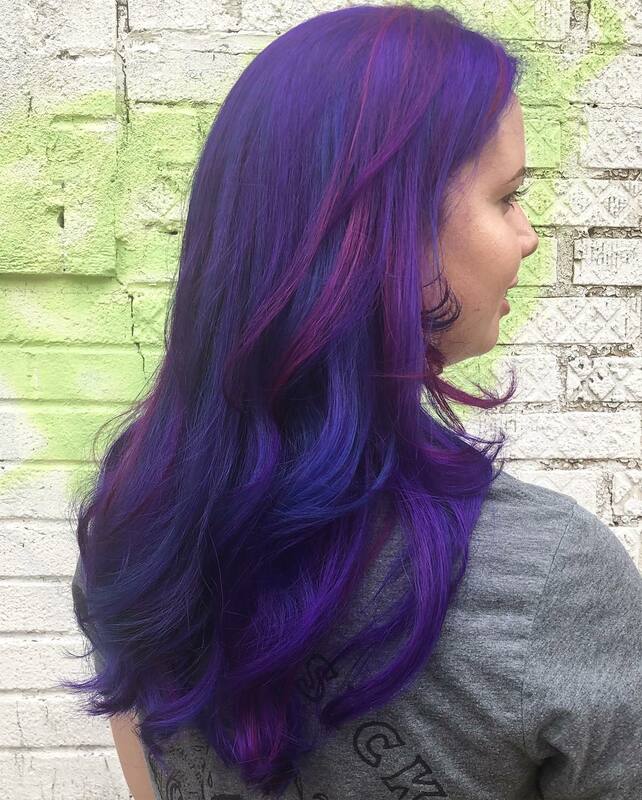 All of these ultraglo color confections were done by Kristin Jackson! 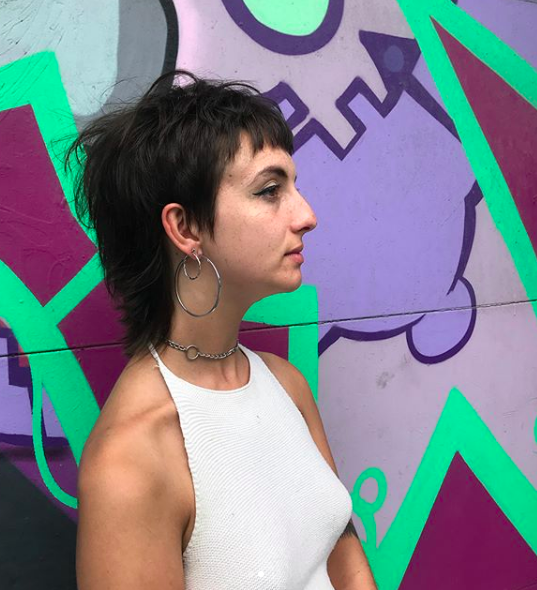 This asymmetrical cut gives the notion of 2 do’s in 1! 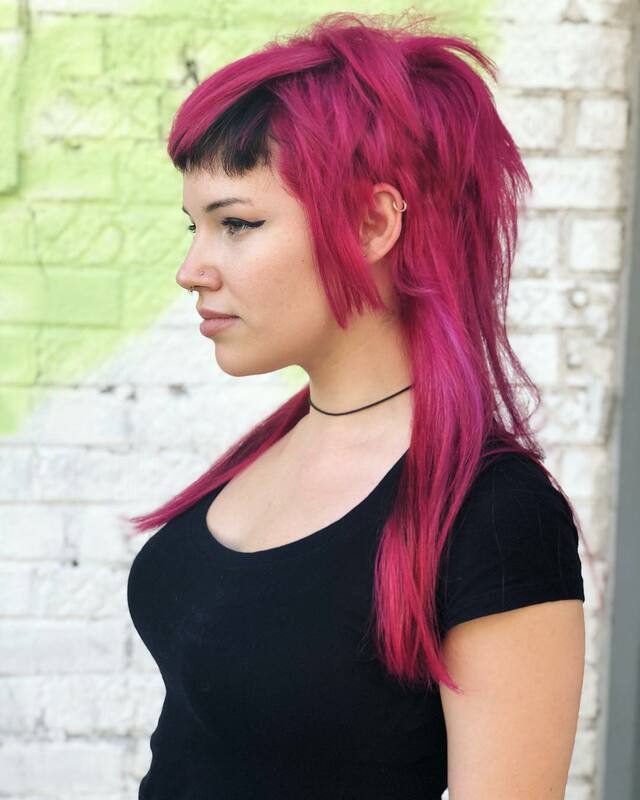 The cut and color blend work together perfectly, giving it an edgy yet polished feel. 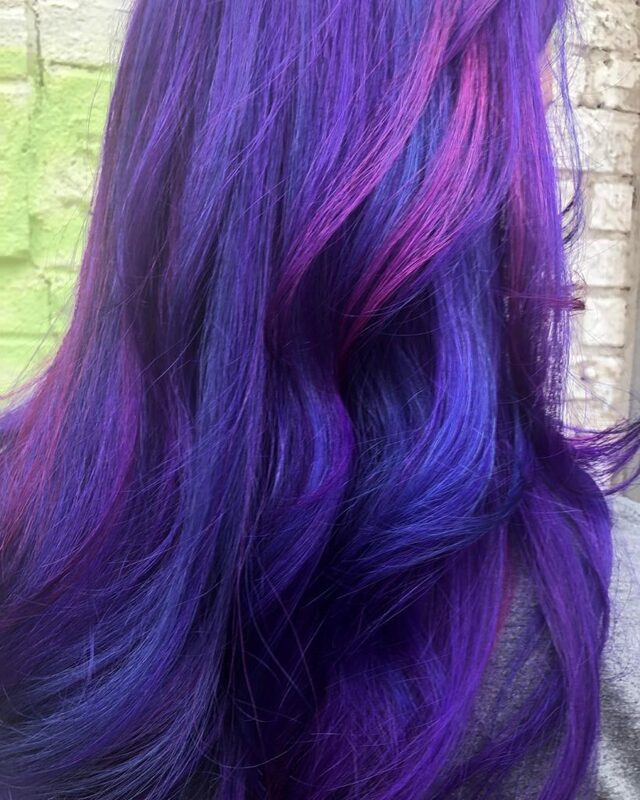 All of these colors were achieved on double process hair. 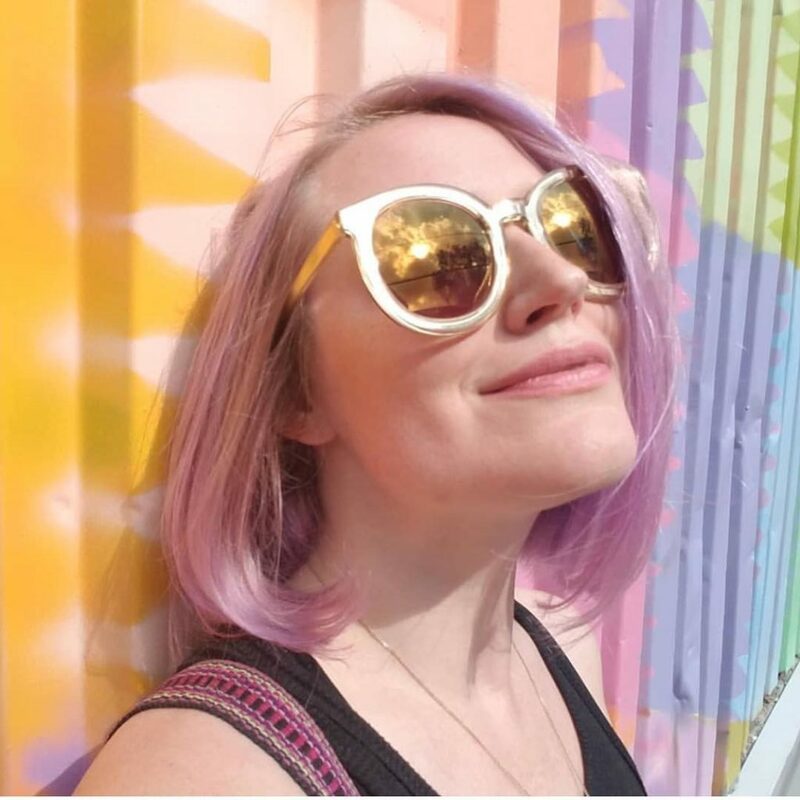 Hair is lightened from scalp to tip followed by toner or creative color. 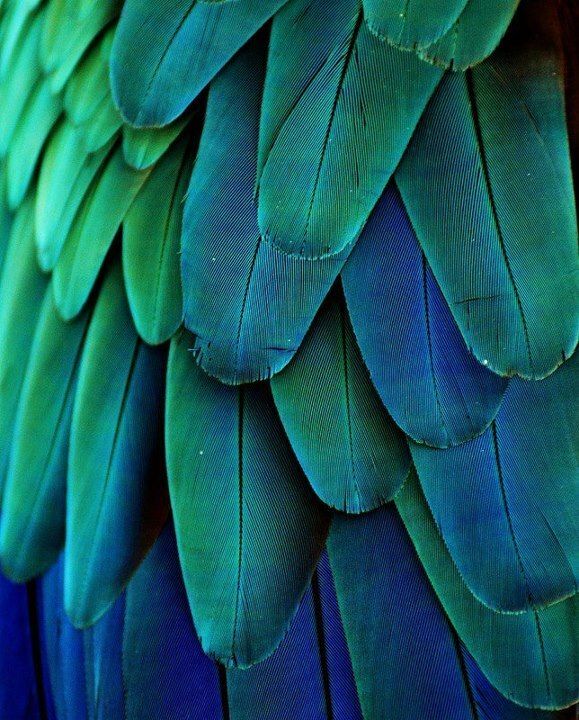 Creative color is not permanent and requires loads of care. Please check out our color page for tips and tricks for maintaining creative color. 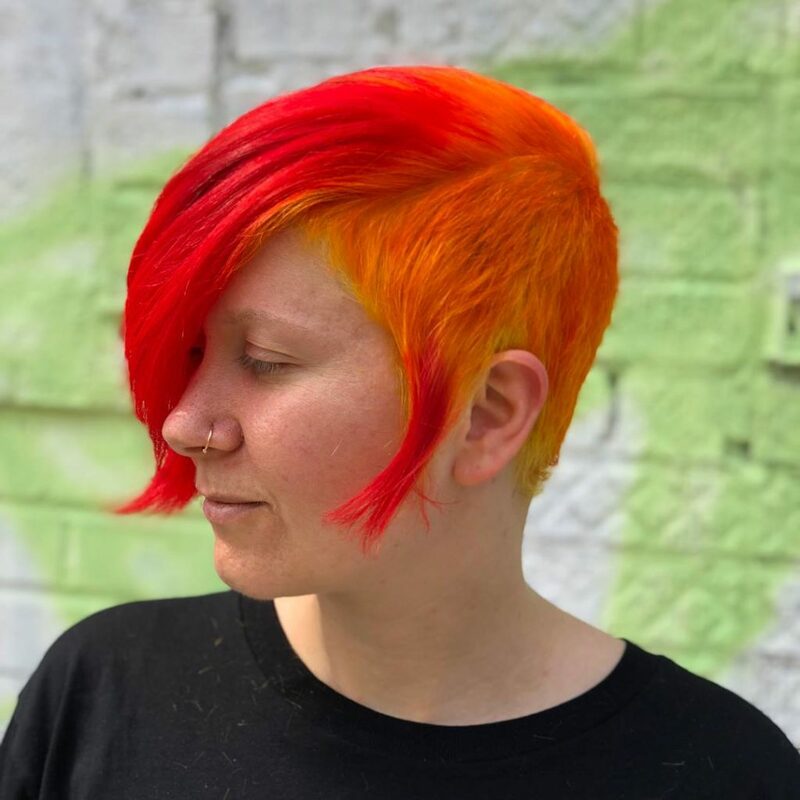 Interested in adding a pop of neon to your life?! Give us a call or text to book a consult 646-399-6873. Consults allow us to get on the same page as our clients and helps us determine pricing and service and is required for all lightening services. As always thanks for peeping our page!